Are you giving your wife or girlfriend roses for Valentine's Day? Read on for some creative ways to give Valentine's Day roses. The history that led us to celebrate Valentine's Day remains somewhat of a mystery. Reports claim there were at least three Saint Valentine martyrs dating back to third century AD. Their stories are far from the romance that we associate this holiday with. 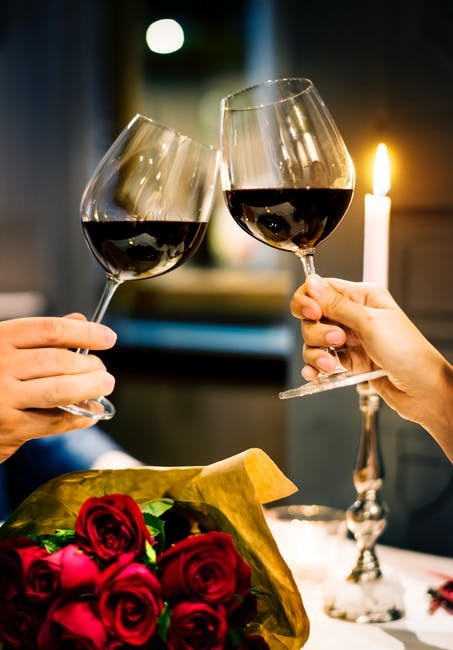 In later years, it's believed that some of history's most beloved poets, including Shakespeare and Chaucer, popularised the February 14th traditions that we hold near and dear today. However it came to pass, one thing is sure: Australians love celebrating love. Along with exchanging Valentine's Day cards and chocolates, roses stand out as one of the most notorious gifts among sweethearts. Read on for seven creative ways to give Valentine's Day roses to the one you love! A 2017 survey published by NFR predicts that people spent $2 billion dollars on gifts that grew from a garden last year. Like other consumer traditions, there's a good chance that many will again choose flowers to gift their Valentine this year. If you're among the countless lovers who surprise their honey with roses year after year, why not spice up things with a creative twist on your go-to favourite? After all, roses in bloom are beautiful, but they have a limited lifespan. There are other ways to give roses. 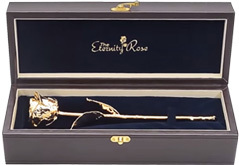 Some of the most captivating rose gifts might have never even occurred to you. Don't worry. We're here to help with some unique gift ideas that are sure to win your Valentine's heart. 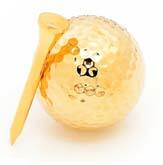 This 24-karat gold-dipped natural rose is a stunning take on the world's most recognised symbol of love. It comes in an equally impressive leather display case with a luxurious velvet lining. 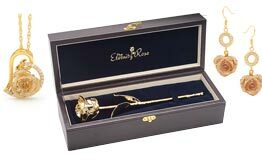 There's even a special accompanying gold vase to keep the rose all year long. 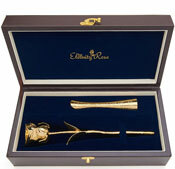 Like your undying love, the gold-dipped rose is meant to last a lifetime. We can guarantee it's unlike any other gift she has ever received. If you really want to wow the love of your life this Valentine's Day, a gold-dipped rose makes the perfect gift to do it. What better to greet your Valentine after a long day than a heart-shaped rose wreath hanging on the front door? Buy a pre-made wreath or make one yourself. If you have kids or grandkids, they can even help. You can use dried or fresh roses. Or, if you're feeling especially creative, you might prefer making flowers from felt, ribbon, burlap, or any other materials you have lying around the house. It's a gift that she can come home to year after year. Created from miniature rose petals, the rose petal pendant is an expression of love that's frozen in time. Your darling will be reminded of the love you share every time she wears her precious pendant. Choose from a variety of colourful glazed rose petals, including pink, purple, red, blue, or white. Another way to make roses last is by drying them at their peak. When done correctly, preserved natural roses make a beautiful keepsake that will last for years to come. Arrange dried blooms in the shape of a heart and affix in a shadow box to create a simple, do-it-yourself expression of love. Colourful blooming roses serve as a sunny expression of your heartfelt devotion. Planting a garden isn't a job for everyone. But, if you have a green thumb, it's the perfect Valentine's surprise for your sweetie. What's better is that a rose garden is a gift you'll both enjoy year after year when its colourful blooms return. Like the traditional rose bouquet, jewellery is one of the most longed-for Valentine's gifts of all time. Jewellery that's crafted from delicate roses offers the best of both worlds. Rose petal earrings are sure to garner compliments galore. 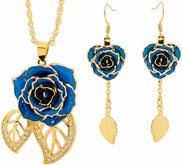 Plus, they pair perfectly with the rose petal pendant listed above. Today's store-bought cards often take the place of the handmade Valentine's Day traditions of the previous years. But, even now, nothing compares to a custom card that's created especially for the love of your life. You may recall trimming doilies, ribbon, and lace to present a pasted-on masterpiece to childhood family and friends. Although those days may be long gone, one never outgrows the sentiment behind a heartfelt message. It's the gift that anyone can make, everyone appreciates, and it costs only pennies. No wonder the tradition of handmade Valentine cards is one that has been around for centuries. If you aren't too sure about your crafting skills, cutting a simple heart from paper and penning a personal love note will work just as well. You might be surprised at the way this simple token of your adoration will warm your Valentine's heart. February 14th is just around the corner. Instead of settling for another bouquet of roses (that will soon wilt and wither), why not make this year's Valentine's Day roses extra special? We've even made it super simple for you by offering a list of creative solutions that are sure to please even the hardest-to-buy-for gals. In fact, you could easily find the perfect something for your lucky lady, your mum, and even your daughter here. Don't let the most romantic day of the year sneak up on you empty-handed. Now is the time to place your order for a Valentine's Day gift that she'll remember forever.